Angela Watson is a National Board Certified Teacher with over 11 years of classroom experience. She is now an entrepreneur, author, speaker, and podcaster. She wrote her first book, The Cornerstone, while she was still in the classroom. She recently published her fifth book, Fewer Things Better. She is the host of Angela Watson’s Truth for Teachers Podcast, which is a highly-rated and popular podcast in the teaching community. She shares several resources through her website: The Cornerstone For Teachers, and stays connected to the classroom by speaking at schools and coaching teachers. Links •	Website: https://thecornerstoneforteachers.com •	Angela’s Books: https://thecornerstoneforteachers.com/books/ •	Angela Watson’s Truth for Teachers Podcast: https://thecornerstoneforteachers.com/truth-for-teachers-podcast/ •	Twitter: @Angela_Watson •	Instagram @angela.watson •	Facebook: @TheCornerstoneForTeachers You can find all our episodes on SoundCloud, the iTunes Store, Google Play, and Spotify. Subscribe to our Newsletter at: www.schoolofthoughtproductions.com/contact/ We would love to connect with you! 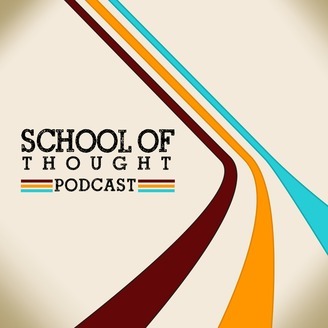 Please email us at schoolofthoughtpodcast@gmail.com to tell us who you are, what you think about the show, and who we should talk to next. 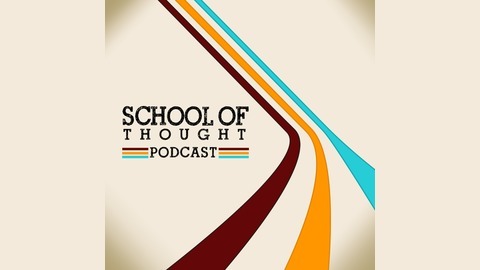 Connect with us and the rest of our tribe by searching for School of Thought Podcast on Facebook, Instagram, and Twitter.